Screenplay: Alexander Payne, Nat Faxon, Jim Rash. Starring: George Clooney, Shailene Woodley, Amara Miller, Nick Krause, Patricia Hastie, Beau Bridges, Matthew Lillard, Judy Greer, Robert Forster, Mary Birdsong, Rob Huebel. Director/co-writer Alexander Payne’s (handful of) films always deal with similar themes and tortured, struggling protagonists. Matthew Broderick was a hapless schoolteacher in “Election”; Jack Nicholson was an angst-ridden widower in “About Schmidt” and Paul Giamatti was a social-misfit, wine connoisseur in “Sideways”. Now, it’s George Clooney as an estranged workaholic husband/father in Payne’s best film so far. 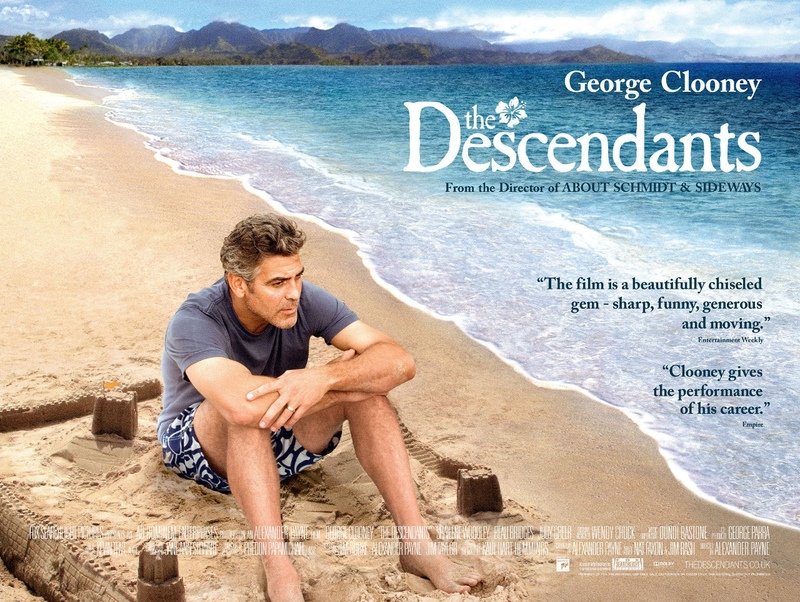 Matt King (Clooney), a descendant of one of Hawaii’s first white land-owning families, must decide whether to go ahead with a multi-million dollar land deal that will destroy a vast bit of Hawaiian forestry to be replaced with tourists and condominiums. At the same time, he faces a personal crisis. His wife has had a boating accident, leaving her in a coma. Matt now faces the decision to disconnect her life support and become a single father to his two daughters, 17 year-old Alexandra (Shailene Woodley) and 10 year-old Scottie (Amara Miller) while dealing with the frustration of the locals at his proposed business deal. The key to a good drama is finding the right balance between humour and pathos. Alexander Payne has a keen sense for this. He sees the absurdity in every day experiences and paints realistic and flawed protagonists. His characters can sometimes have a comical element to them but they are never trivialised. They are not ‘movie’ characters. They are human with flaws and Payne’s skills in writing show this. He has consistently observed ordinary people in ordinary situations and rarely have they been captured so well. As a director, Payne’s skills lie in drawing marvellous performances from his actors and it’s here that George Clooney shines. He’s an actor that I greatly admire and one who makes intelligent choices. His range is also extensive with hilarious comedic roles in the likes of “O Brother Where Art Thou?” and “Burn After Reading” or serious dramatic roles in “Michael Clayton”, “Solaris” and his (supporting) Oscar winning role in “Syriana”. This film has garnered him some more Oscar buzz with his Third leading actor nomination. And rightfully so. Clooney delivers a subtle and soulful performance that’s not without regular humorous moments either. He’s not alone though. Shailene Woodley as his eldest daughter is marvellous also and lends great support in some heartfelt and hilarious tete-a-tete’s and brief but effective support is displayed by veterans Robert Forster and Beau Bridges. (The latter showing a glimmer of his brother Jeff’s iconic turn in “The Big Lebowski”). The Hawaiian setting could also be included as a character, it looks absolutely stunning playing it’s part as a real feast for the eyes. Human drama’s don’t come much better or more nuanced than this. Great writing and great acting give rise to one of the year’s genuine gems. This entry was posted on February 20, 2012 at 3:54 pm and is filed under Comedy, Drama with tags 2011. You can follow any responses to this entry through the RSS 2.0 feed. You can leave a response, or trackback from your own site. I loved this movie. I even thought it had a good chance at winning Best Picture until I saw The Artist. Definitely one I would watch again, especially because of Clooney. Great review. Thanks man! I absolutely loved it. I considered giving it the full 5 stars but I’ll wait till I see it again. In hindsight, I think it deserves top marks. Nice review. I liked it a little less than you did, though. You say that “the key to a good drama is finding the right balance between humour and pathos” but I didn’t feel Payne quite nailed it. Seemed a little uneven for me. Still, I’m sad Woodley got snubbed and I hope Clooney wins the Oscar. He gives the best male performance of the year. I’ve often found an uneasy balance with Payne’s previous films. I really enjoyed them but “Sideways” I found to be overrated. I know what you mean though but on this occasion I thought Payne got it spot on. I found myself laughing at bits when I know I probably shouldn’t have been. But I think this was Payne’s intention. 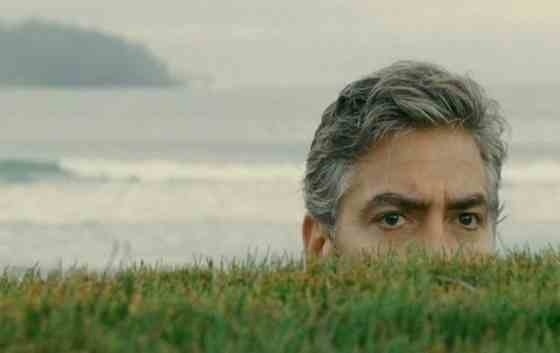 Clooney is indeed marvellous. It’s a toss up between him and Dujardin for best actor but I’ve yet to see Oldman and Pitt’s performances.